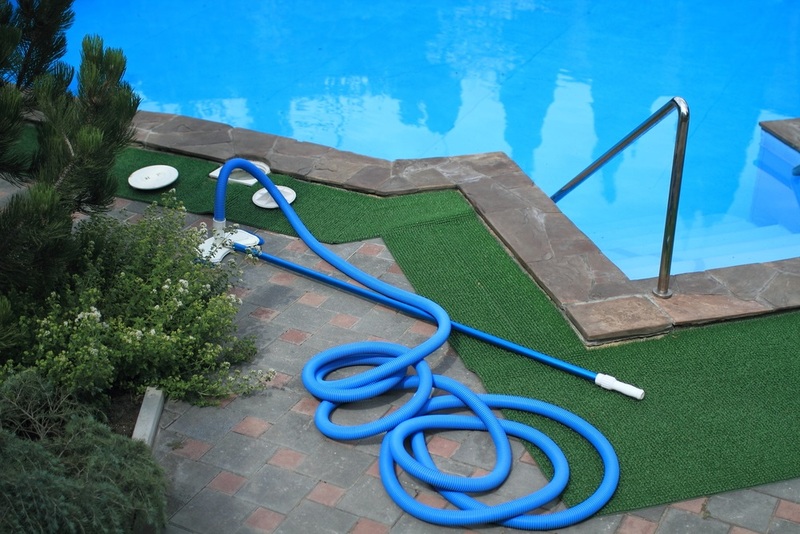 Your swimming pool isn’t that old, but there are some unsightly stains. What are they? It’s like the bathtub ring that builds up — you don’t notice it until it’s there but it’s been slowly building over time. It’s best to keep your pool clean from build up or stains before they happen. If you don’t notice the stains until they’re there, you can still address them, get rid of them and make your pool look brand new again! The first step is to identify the stain then you can find the correct way to address and remove it. If you work with a swimming pool service contractor he will assure that your pool doesn’t suffer from stains. If you’re a do it yourself pool owner, you can clean away stains on your own. If you’re stumped as to what the stain could be, bring it in to a pool contractor’s business and ask them to help you identify it. You may not live close enough to a pool contractor and if that’s the case you can purchase a “stain identification” kit to diagnose the problem and choose the correct treatment. 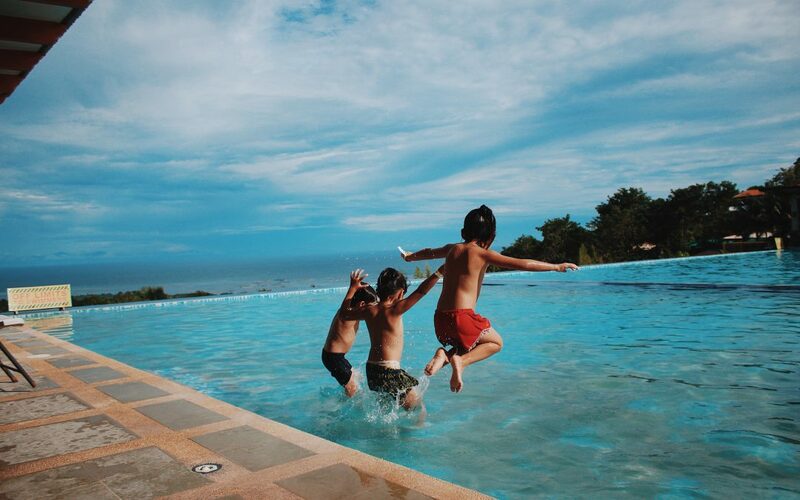 When it comes to stains, there are many types that can occur in your family swimming pool. Some are location specific (like staining from fallen leaves) and others are pool centric — chemicals that are out of balance. Organic staining is the most common and that occurs when leaves, twigs and other organic debris fall into the pool water. Organic stains are typically brown, although leaves in the autumn that fall into a pool may stain it the color of the leaf itself. Any one of these, or others, that are out of balance are creating the perfect storm for staining. Before you can address the stain you need to determine whether it’s organic or a mineral compound. When it’s organic you will usually see a mark or outline that indicates there as an organic material lying there that caused the stain. When you find organic stains you may be able to address it by raising the chlorine levels in the water. You might even want to try to rub a chlorine tablet right on the stained area. Keeping up with skimming off debris before it falls to the bottom of the pool is one of the best ways to address organic staining. Before you can determine the best way to rid the pool of metal compound stains you need to determine what the stain is. Here is a short list of potential metal compounds that may stain the pool. Calcium stains show up as tiny brown spots and may look like algae. The staining occurs when the calcium levels in the water are too high. You can remove calcium stains by sanding them — this is a task best left to a pool contractor because it could easily damage the pool structure. This metal stain may be cleared up with a simple Vitamin C tablet or by using a commercial pool cleaning agent. If you see multiple stained areas that you’re attributing to copper staining, ask your pool contractor whether it’s time to acid wash the pool deck. Metals naturally occur in pool water and water in your home as well, but the presence causes problems when they react to the other metals in the pool. If you notice dark, aka mottled, areas on the pool floor and walls, this could be because of the alkalinity levels. Talk with your contractor and see if he can perform a “zero alkalinity” treatment to rid the pool of the mottling. Whether you have a stain ID kit or take the stain to the pool contractor to look at or have a pool contractor come in and look at the staining, you can rest assured that if the pool water is in balance and the chemistry tested regularly you may not have to worry about staining. In some cases, treating the stain may be all it takes. If the stain comes back, it could be because the water chemistry is still out of balance. The reason so many pool owners work with a pool contractor is because balancing the pool chemicals is something that takes time and expertise to master. Being diligent in the water chemistry balancing and ridding the pool of stained areas will help the health and longevity of your swimming pool. Because a swimming pool is such a major investment it makes sense to keep the water as in balance as possible and to address any staining as soon as you notice it. However, if the water chemistry is where it should be, you may never see staining!